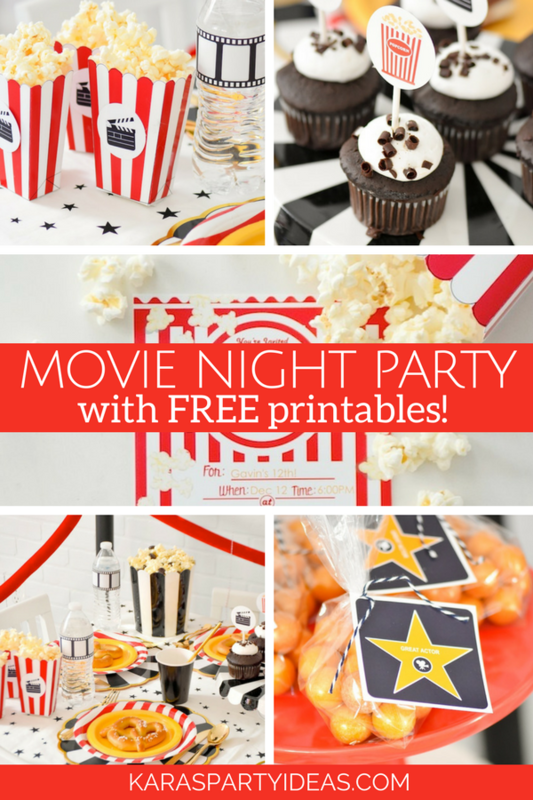 Movie Night Party with FREE Printables! 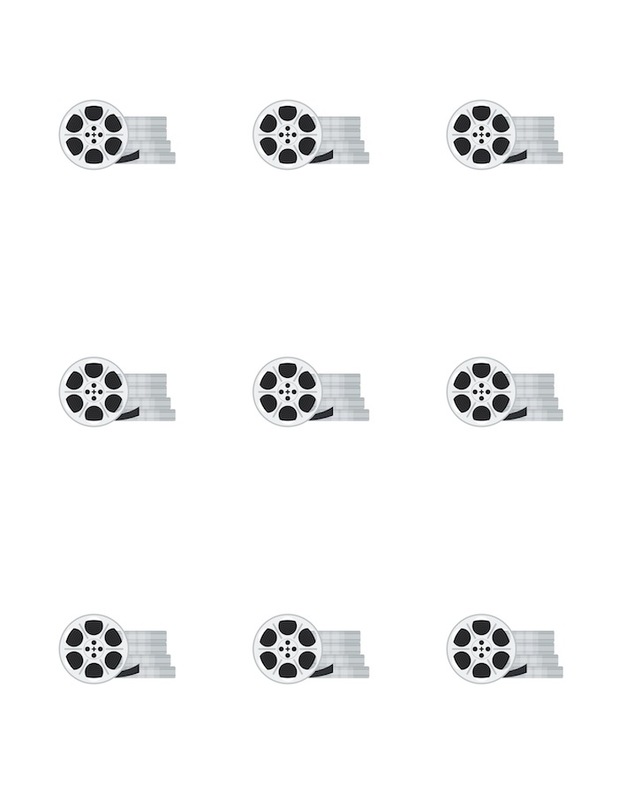 There are so many 5 star movies coming out this year! It’s fun to go to the cinema. 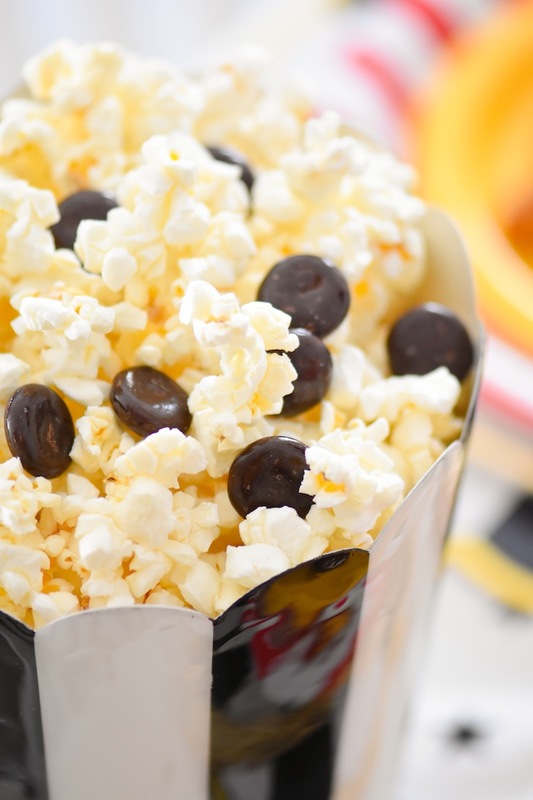 You get a big bucket of buttery popcorn, a cold drink, and a sweet treat. 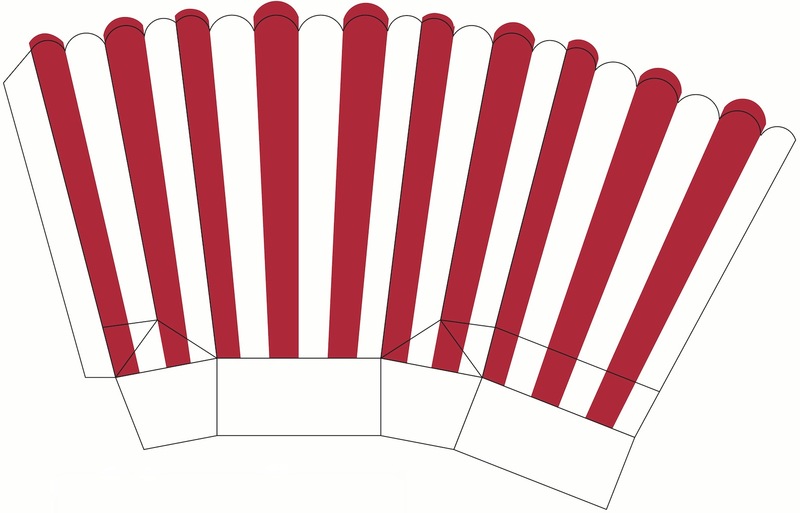 After you find your seat, you settle in for the flick. What could be better than that? 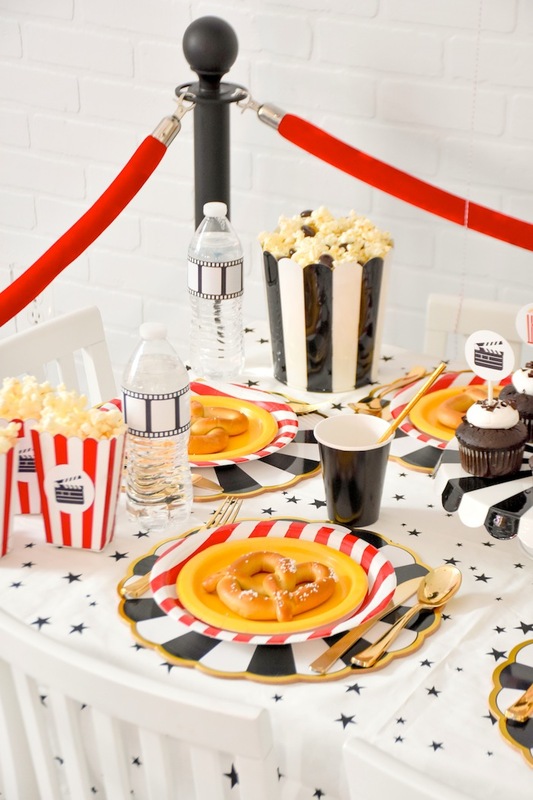 Your own Movie Night Party, that’s what!! 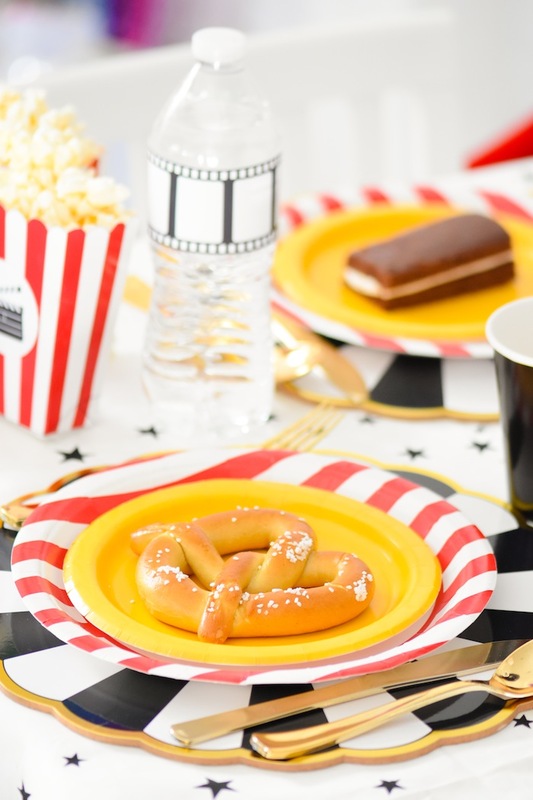 Whether it is for a birthday celebration, a holiday bash, or just a fun friends get-together, my movie party will give you some inspiration (and FREE printables) for a party of your own! 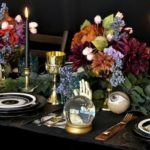 I’ve partnered with Canon this year and I have to tell you, it has changed my party-planning life! 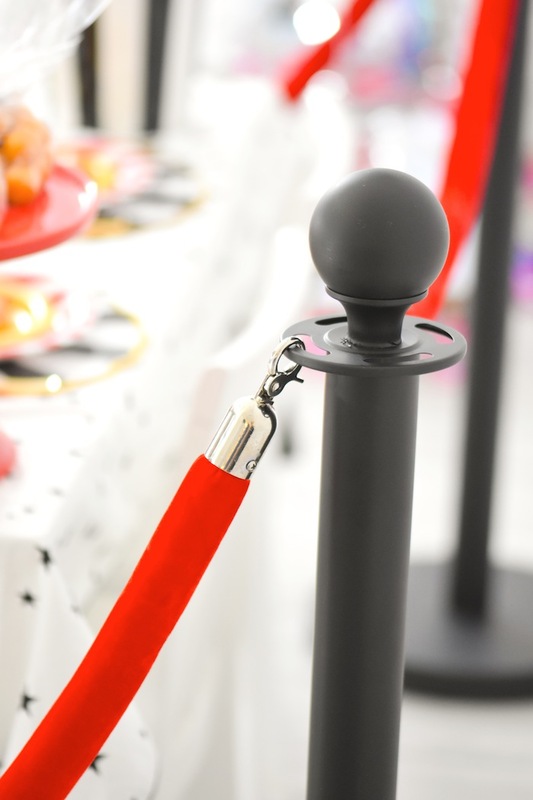 I can have professional quality party printables that I print a home with my PIXMA iP8720 Crafting Printer. 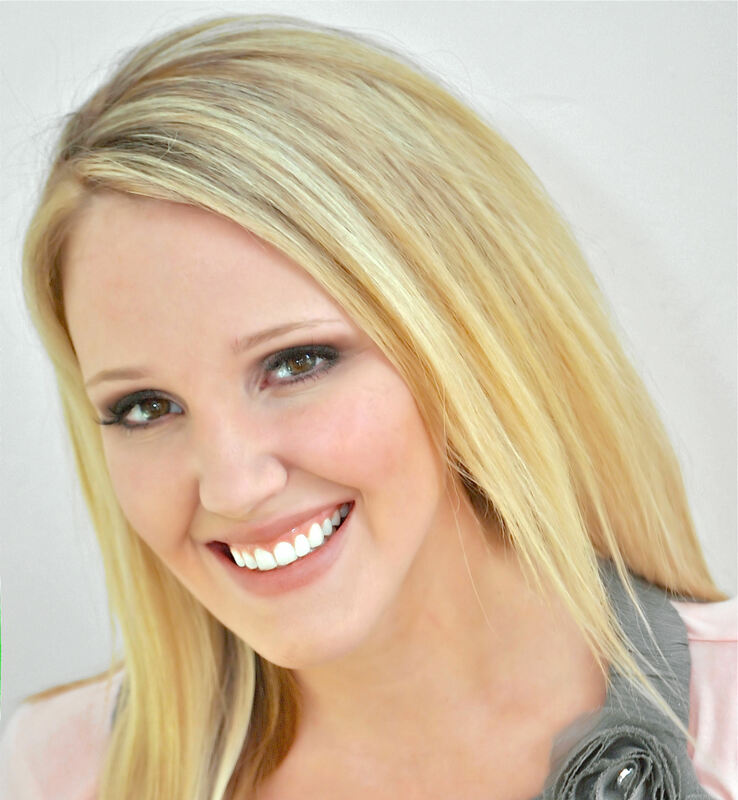 It prints up to 13x19  game changer! 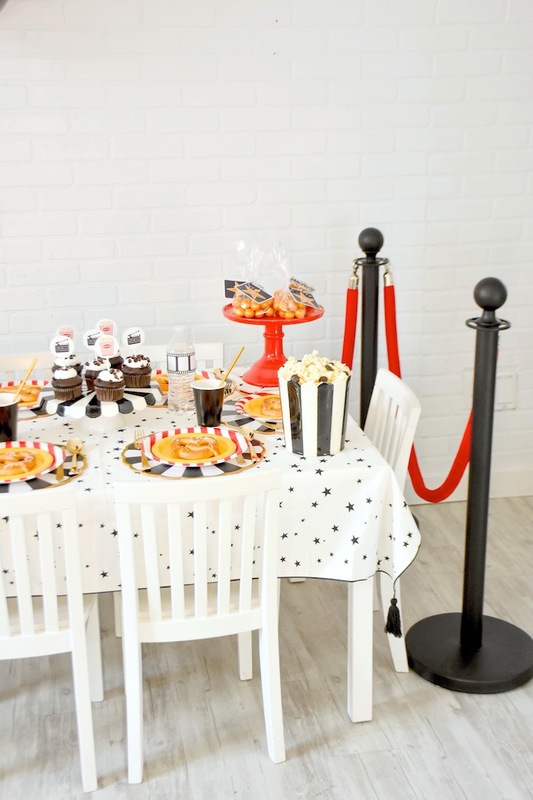 Browse through the party and have fun looking at all the details, then grab the free printables at the end of the party post. 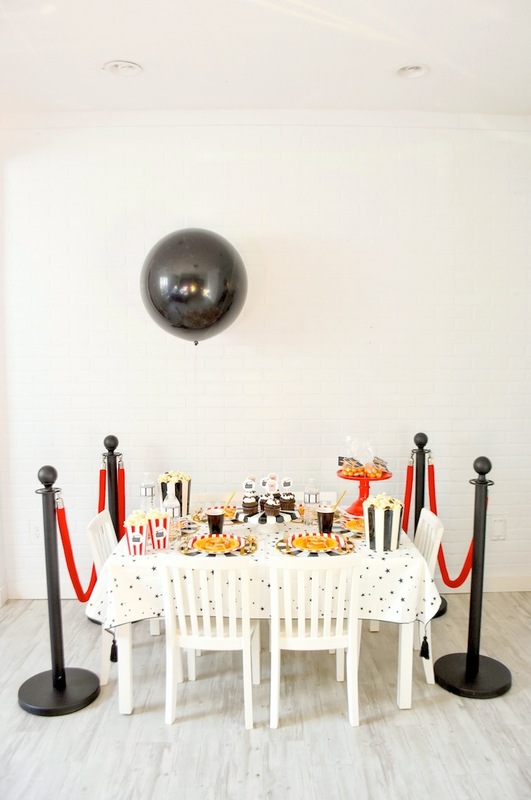 I took the color palette of black, white, red, and a pop of gold for this movie party. 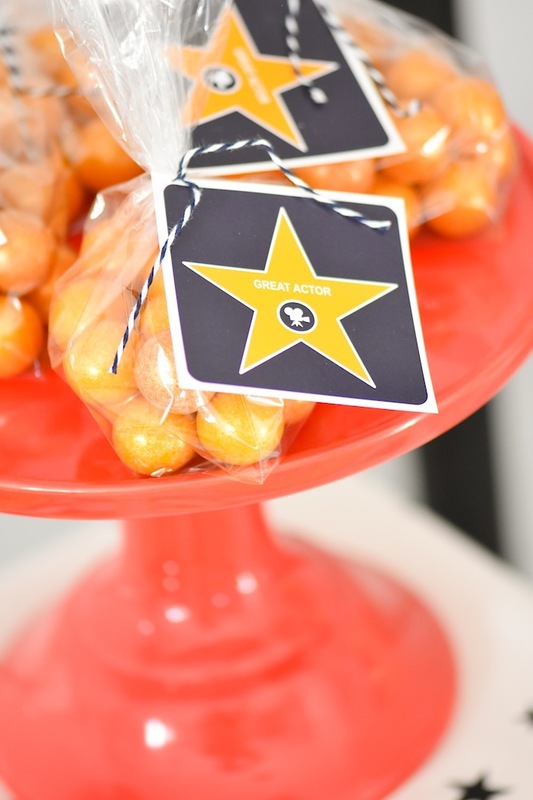 Party favors for the guests with a “Great Actor” movie night award tag on each bag. 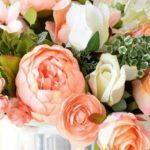 Find the printable (free) tags at the bottom of this post! 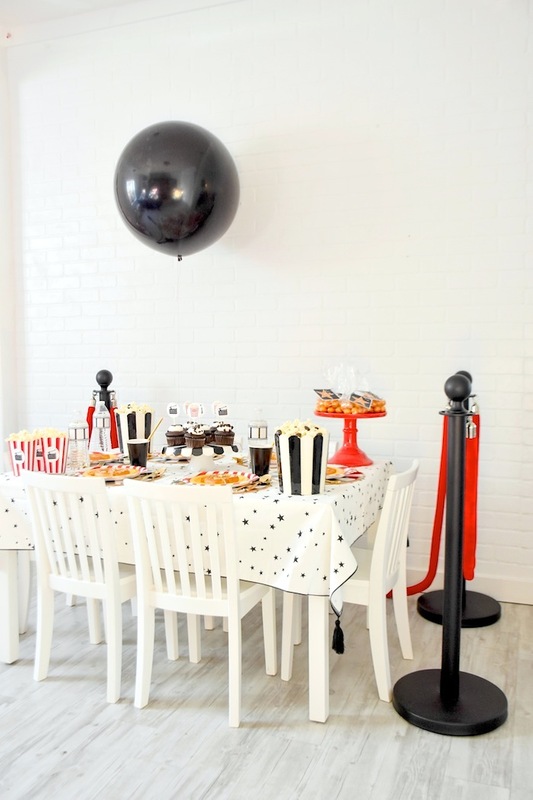 Popcorn boxes (free printable at the bottom of the post) and buttery popcorn. 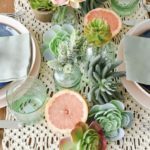 I love layering plates for an eye-pleasing place setting. 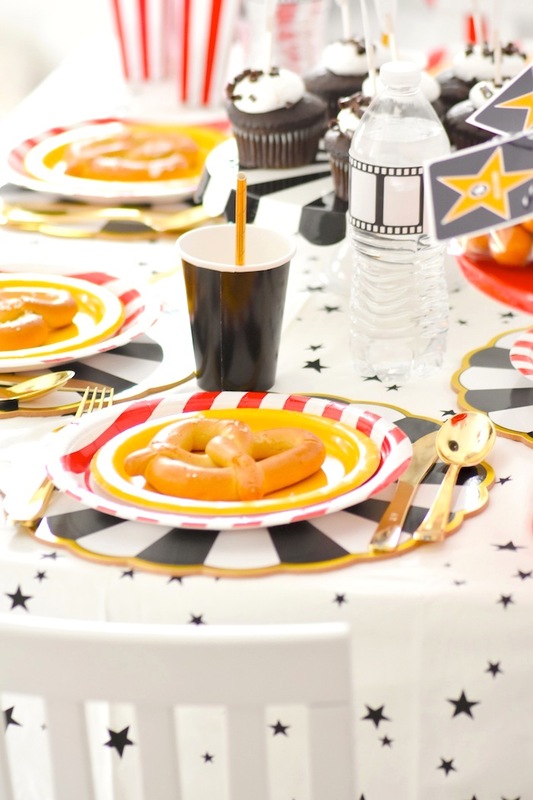 Plus, warm, salted soft pretzels are the best! 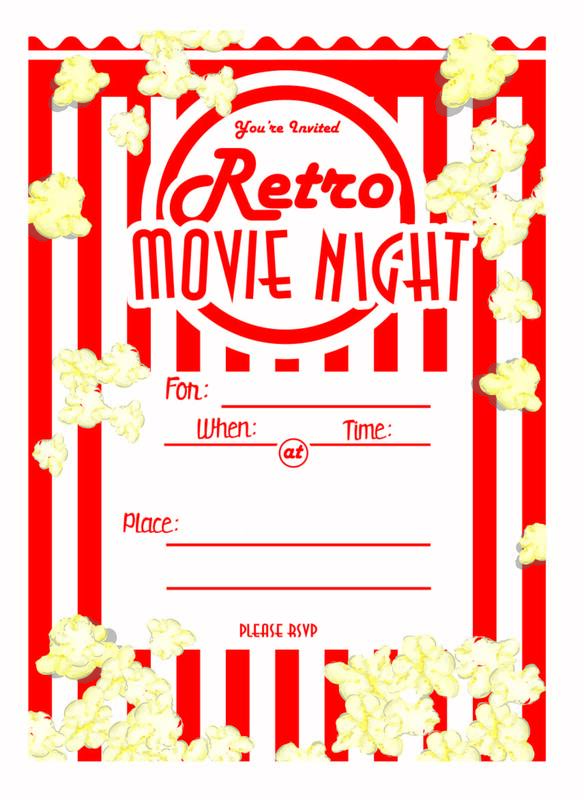 Movie Night Party printable invitation available as a free download at the bottom of this post! 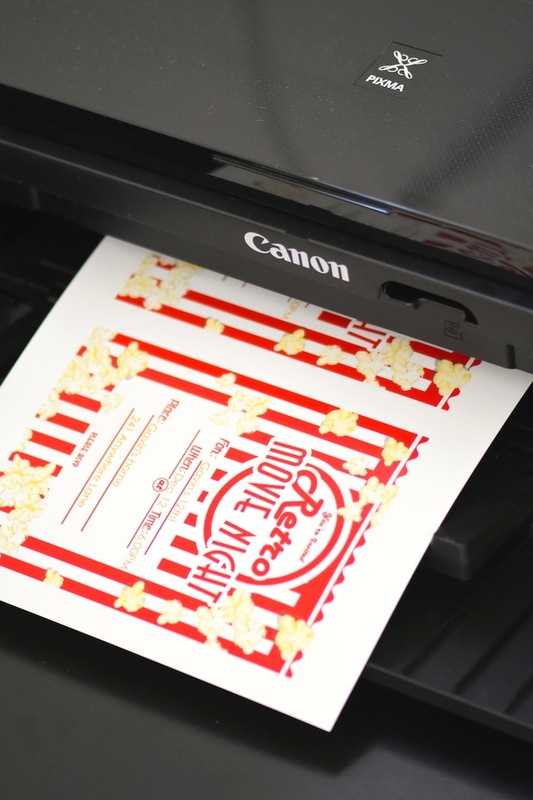 Didn’t the Canon printer make this look so good?! 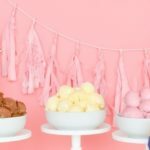 You can’t get cupcakes at the movie theater! 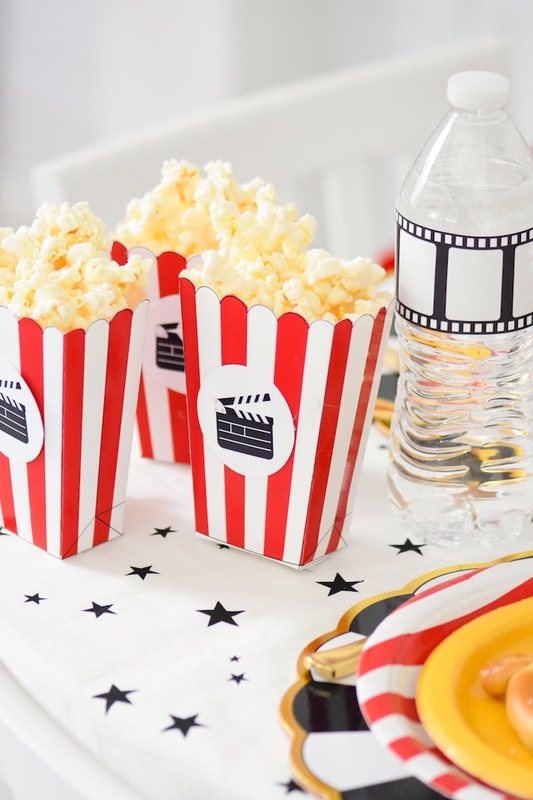 But you can get them at your own cinema party complete with darling cupcake toppers (available at the bottom of this post). 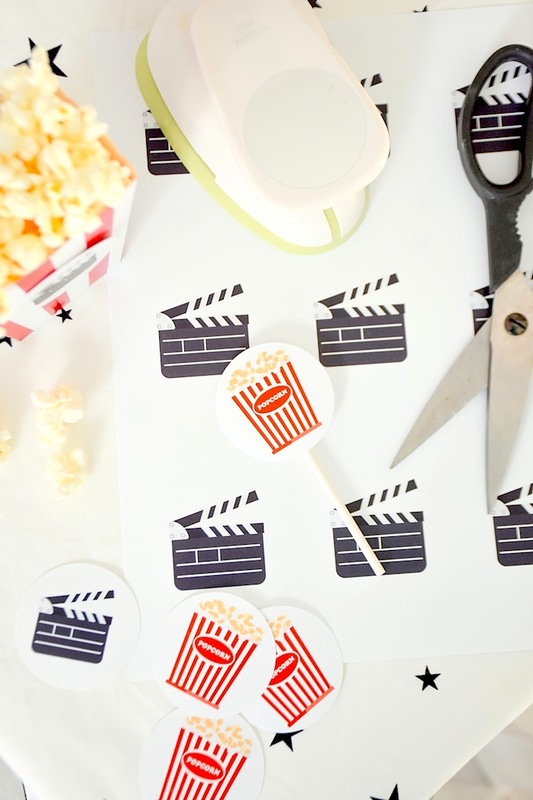 All the cute printables for your movie night party. 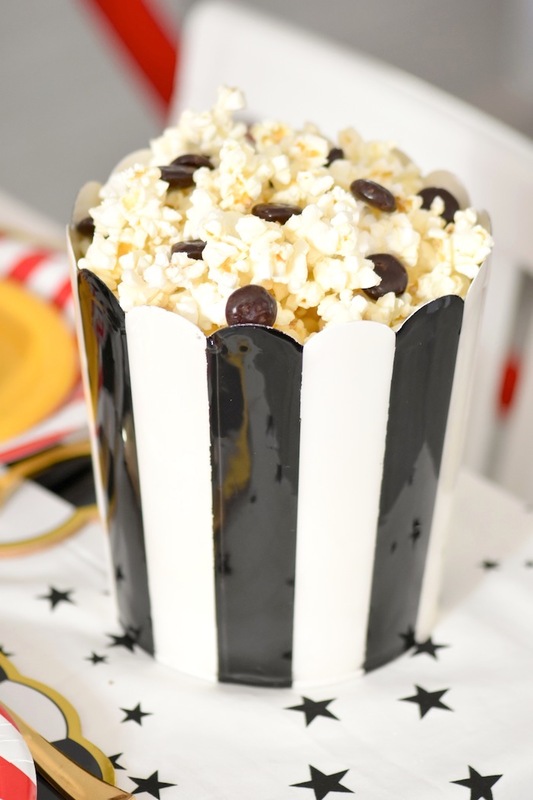 Popcorn and Junior Mints make a great combo! 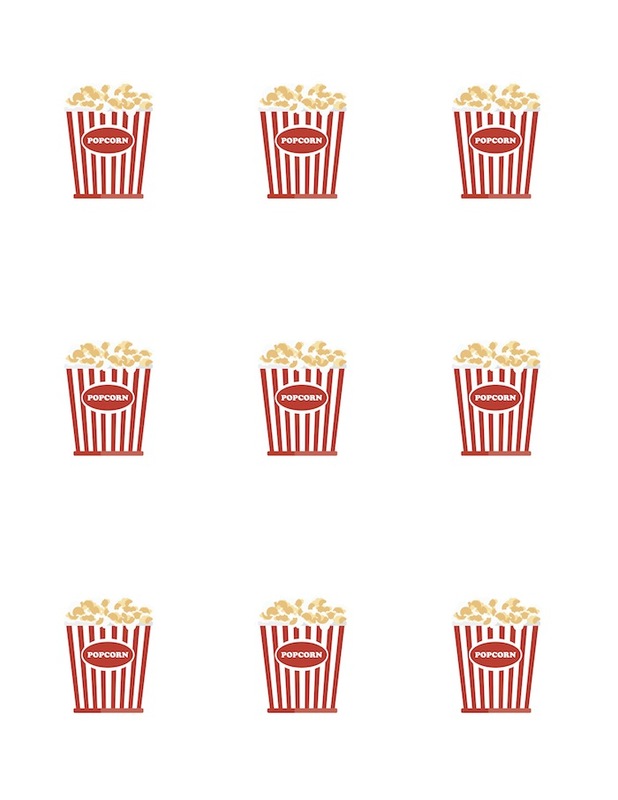 Download your free printable popcorn boxes here. 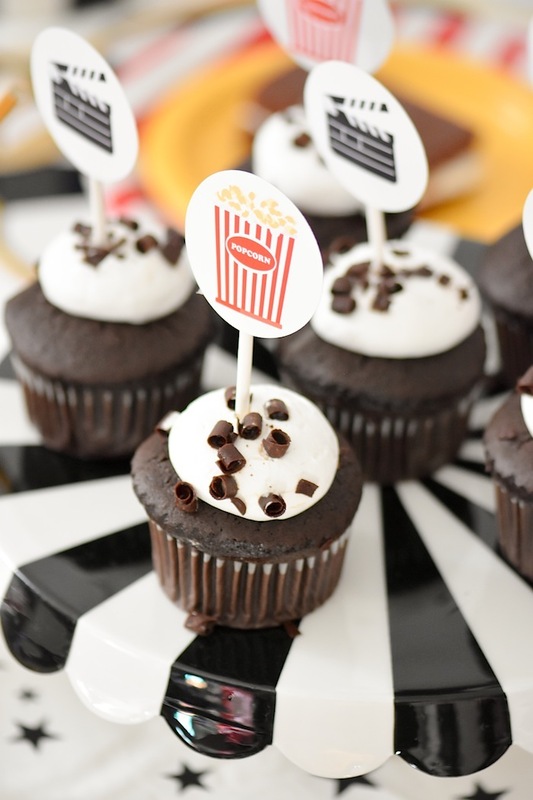 Get your free printable popcorn tags / cupcake toppers here. 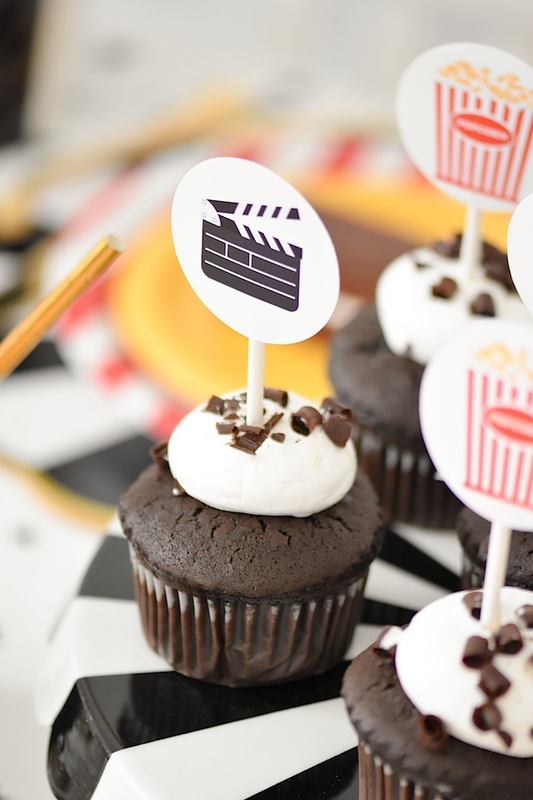 Download your free printable movie reel tags / cupcake toppers here. 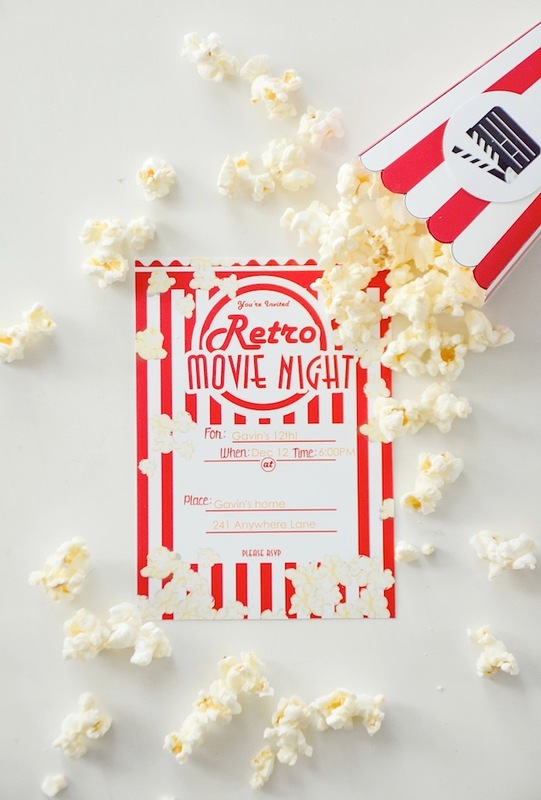 Get your free printable retro movie night party invitation here. 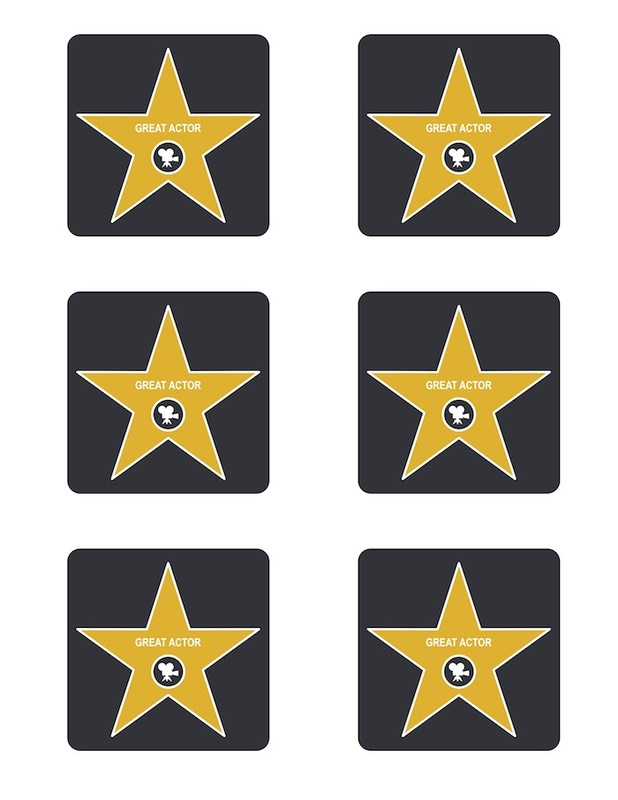 Download your free printable ‘great actor’ party favor tags here. 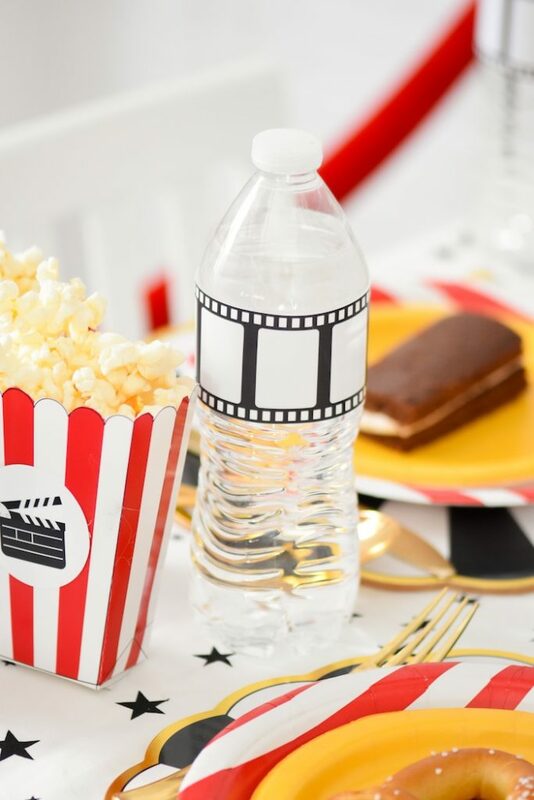 Download your free printable film strip water bottle | drink wrappers here.